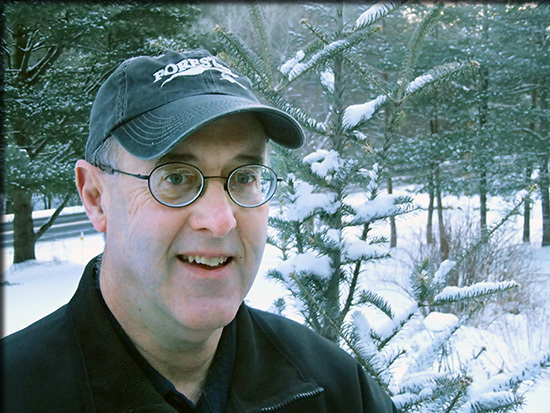 Bruce Breitmeyer, the SUNY College of Environmental Science and Forestry's (ESF) Adirondack forest property manager, was recently named a Fellow by the Society of American Foresters (SAF). The SAF is an organization that advances and advocates for the forestry profession in the United States. The SAF annually honors members who consistently provide exemplary contributions to both the forestry profession and the society by naming them fellows. Receiving a fellowship is the society's highest honor, with only about 5 percent of members receiving this designation. Breitmeyer has been with the college as forest manager since 1983 and currently oversees the management of ESF's Adirondack properties, which include close to 20,000 acres across the Adirondack Park in Newcomb, Warrensburg and Wanakena. He works out of the college's Newcomb Campus. His responsibilities include taking forest inventory, mapping forests, and forest management planning while supporting ESF's mission of teaching and research. Breitmeyer is also a New York Trained Certified Logger and was chair of the New York Society of American Foresters in 2010-2011. Breitmeyer has been an active member of SAF since 1978.